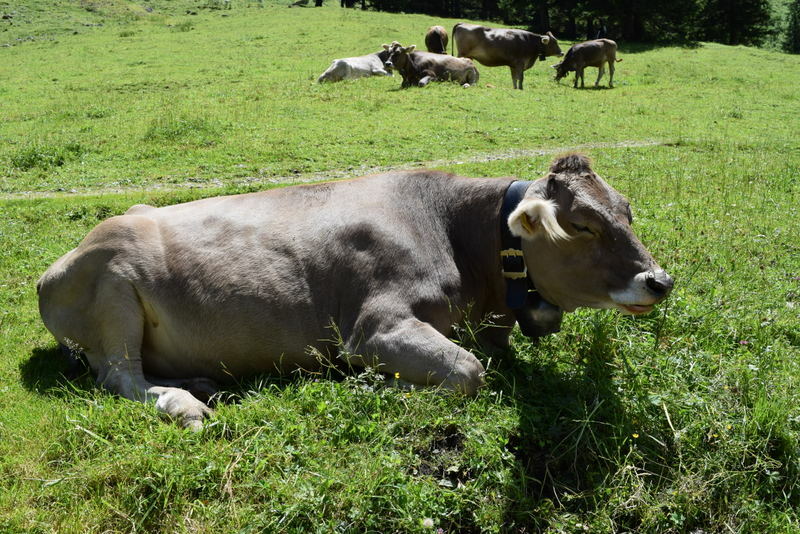 Switzerland – Simply foodolicious! おいしい! 好吃! 맛있는! délicieux! delicioso! 好食! Yes, this is indeed my third time to the majestic Jungfraujoch, twice in winter and once in summer. Unfortunately, the weather for this whole week is cloudy and it was snowing up there so view wasn’t as magnificent. It costs about 98 fr for a two way ticket with a swiss half fare card and the train would take you up to europe’s top peak, with two changes at two stations. 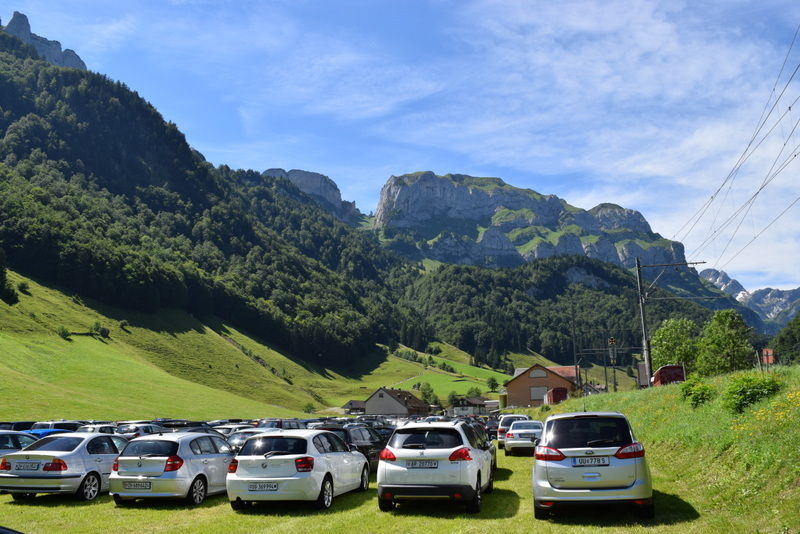 It is a round about tour whereby you can go up and down via grindelwald and lauterbrunnen respectively or vice versa. 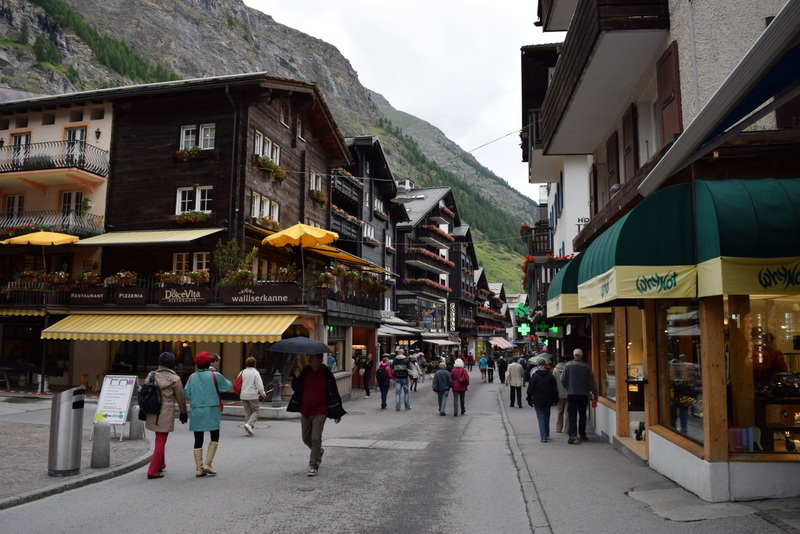 And I would prefer to go up via lauterbrunnen first and descend via grindelwald as the scenery along the route to grindelwald is much more scenic, and you may want to alight at one of the beautiful towns, Grund, which is en route to Grindelwald. This is that close to the edge you could stand at. So take care while absorbing this gorgeous view! But well, I shall post the photos with the view that you would get on a clear day. 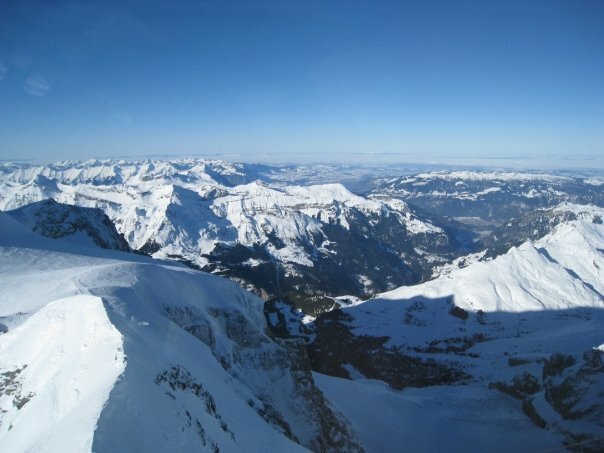 This is what I saw on my second visit to Jungfrau and I must say that I am very lucky. Very beautiful, majestic mountain ranges and that just makes humans so insignificant. I remembered standing out in the cold at -20 degrees with strong gales relentlessly blowing into my face for a full 30min as I try to absorb and remember this scene. A photo taken while still in the train approaching Grund! Just need to be in it. So, unlike the previously, I alighted at Grund this time to take really pictureresque photos. 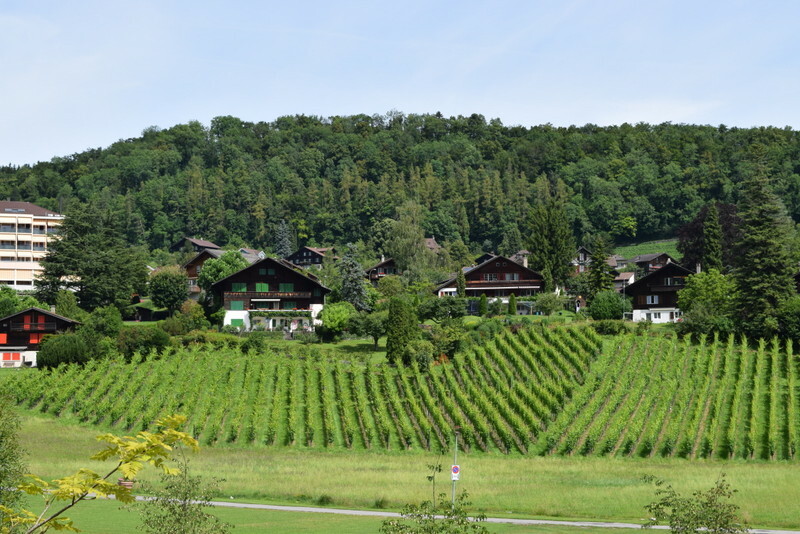 Swiss houses or cottages on an undulating land with the magnificent mountains as the backdrop. It really is very beautiful and peaceful! Somehow it is such small towns that have captivated me much during this trip. 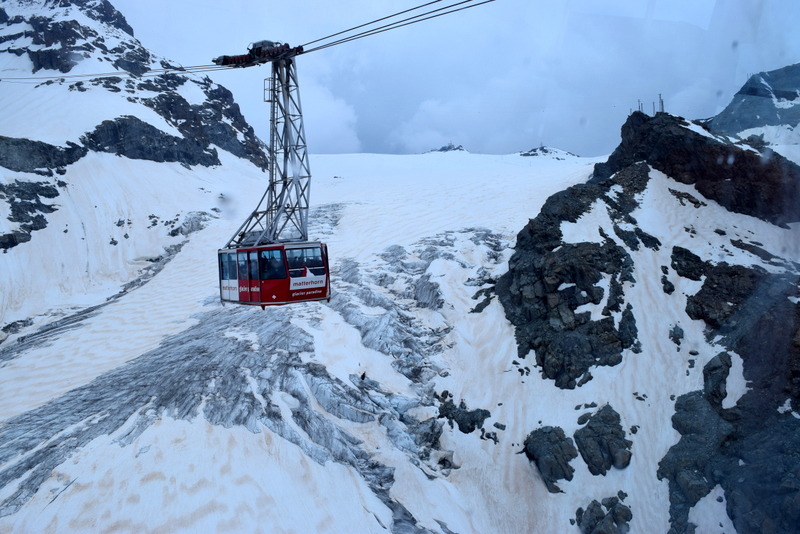 So if you were to get to Jungfraujoch, please make it a point to alight at Grund and I am sure you will love it! 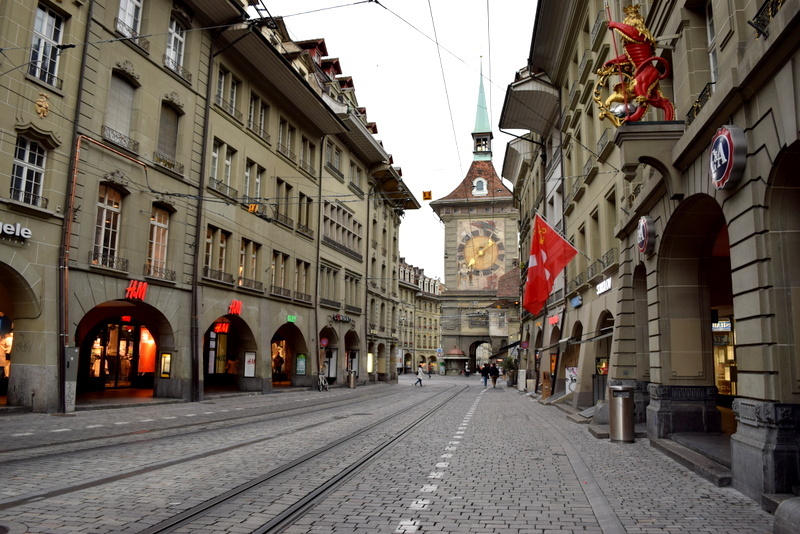 The pretty street you wouldn’t miss at the old town. 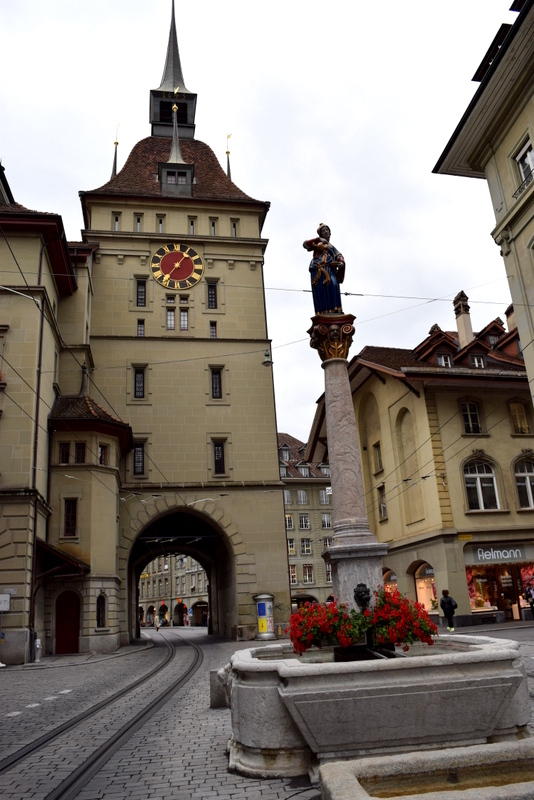 The capital of Switzerland is the small, medievally elegant Berne. Have been here quite a couple of times and I still pretty like this place though you just need 3h to finish the old town of Berne. Its name originated from the word bear and you can find live bears in the den at one end of the bridge. A pity the bears were hiding in their bedrooms when we were there. Met the old friend J here and it was kind of a foodie day. 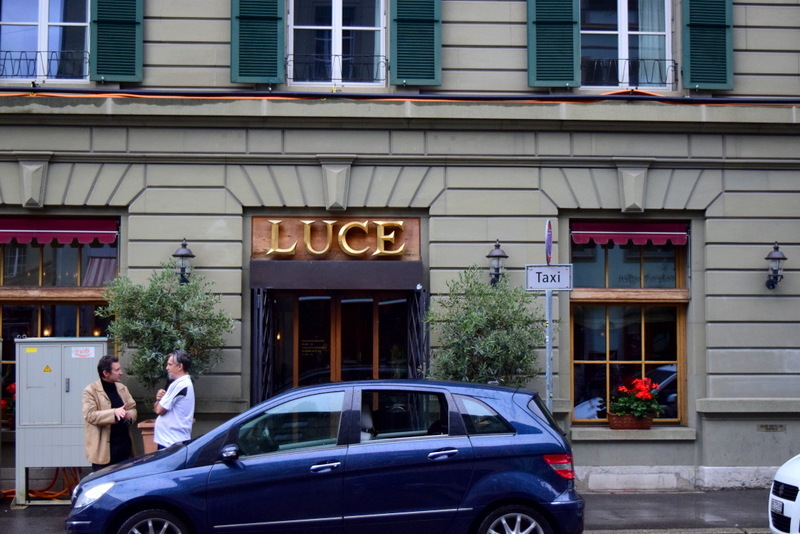 Had lunch at the italian restaurant Luce before meeting her. 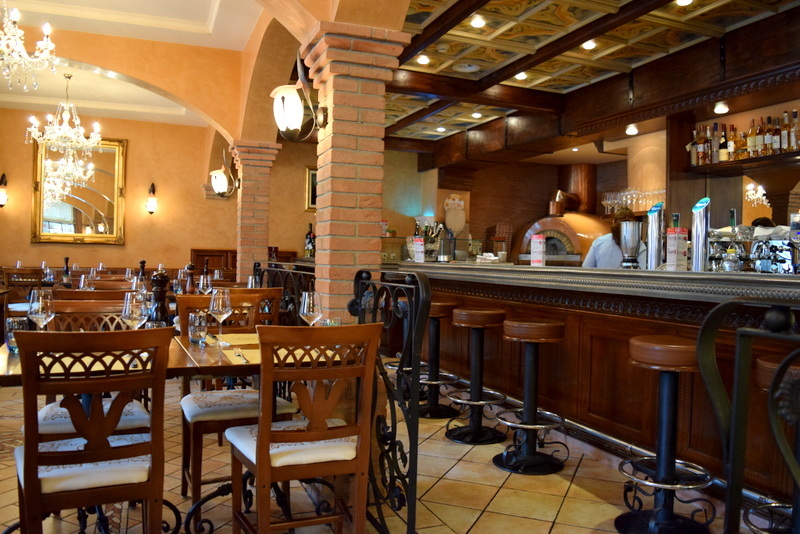 Said to be one of the better restaurants in Berne, it indeed is pretty good. Got the home made pasta with minced meat and delicious bolognaise and that was delicious. Pasta was al dente while bolognaise sauce has lemon juice in it to give it a bit of an edge. 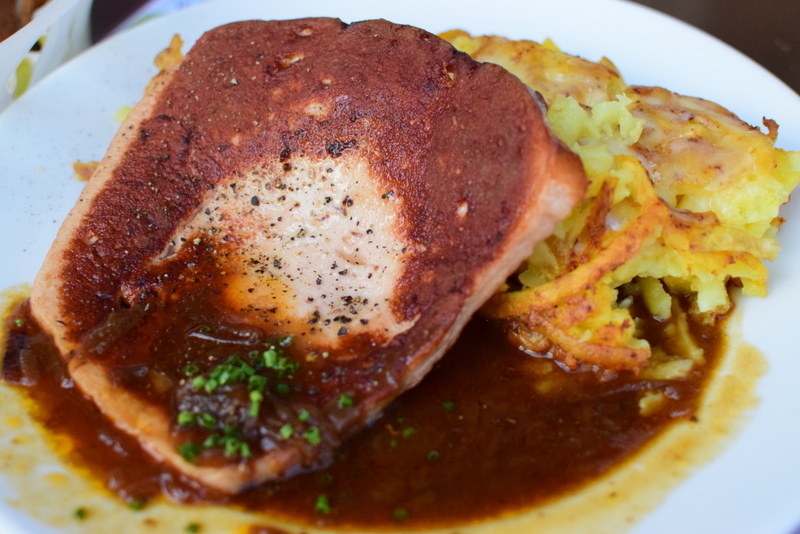 This restaurant is quite worth a visit if you already had too much rosti and schnitzel. 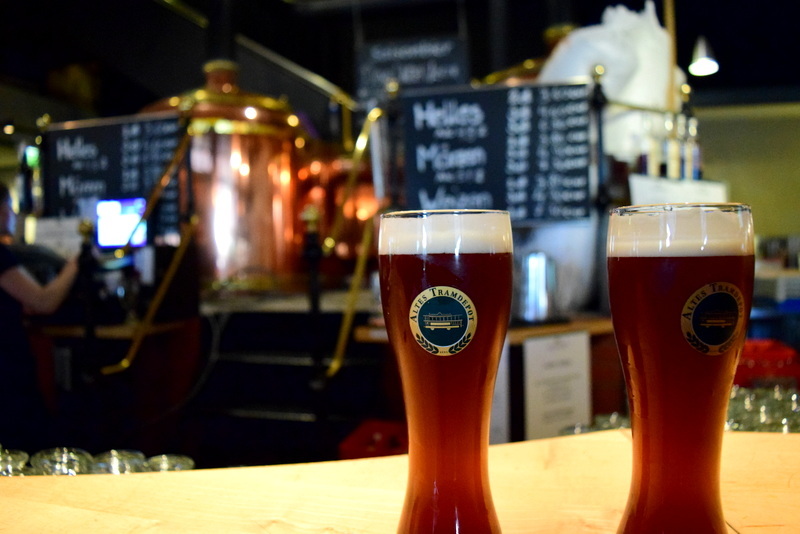 As for dinner, we went to Altes Tramdepot which is just beside the den of the bears. Full of locals here but food is just ok.
Got the butter noodles with mushroom sauce and schnitzel. Mushroom sauce was creamy but pretty salty at the same time. 26.50 fr. 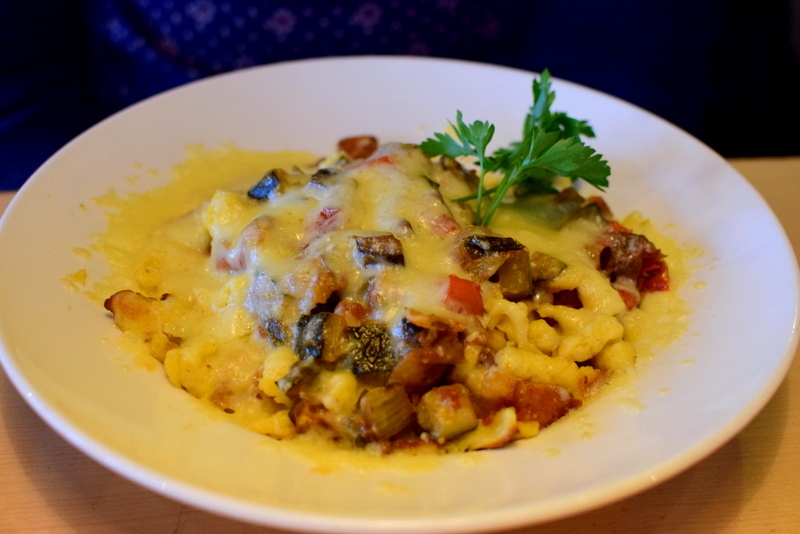 J’s splatzli was ok and cheesy with some fragrant bits on it. 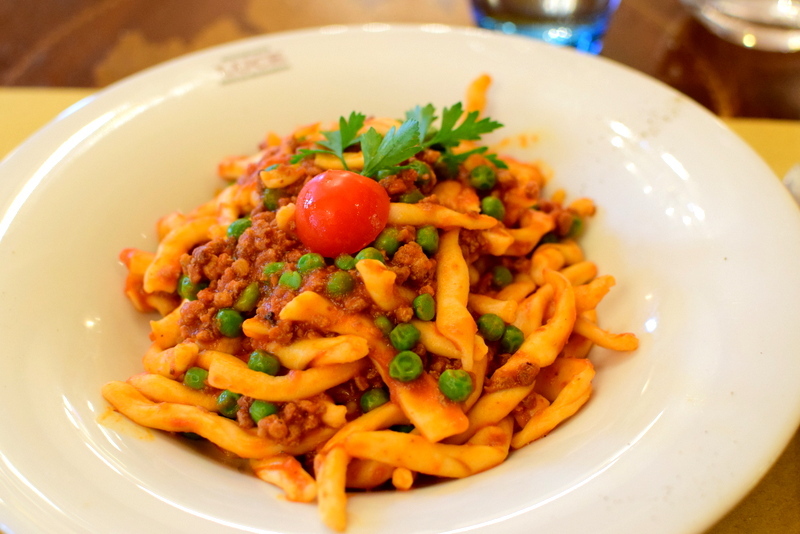 It a swiss pasta which has a different shape and texture. 19 fr. Shared a apricot dumpling for dessert. 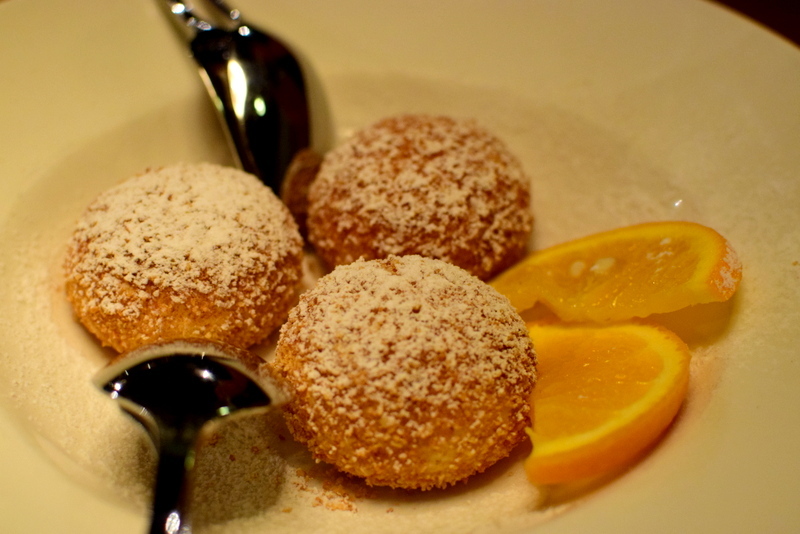 slightly crispy skin with a creamy interior and filled with apricot jam. Not bad but not memorable. 9.50 fr. 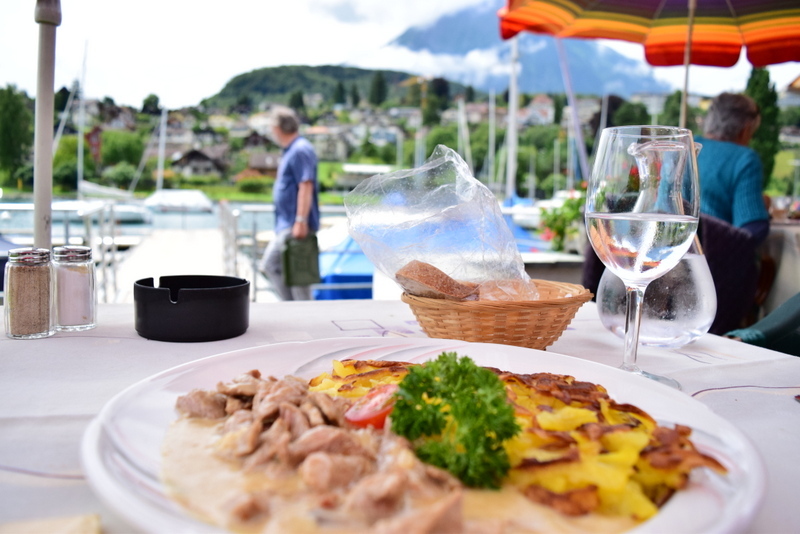 I always have this impression that Swiss food is very simple and not much exciting elements in it but if you were to go in with an expectation of hearty traditional Swiss food (though priced at an exorbitant price), you would still be satisfied. 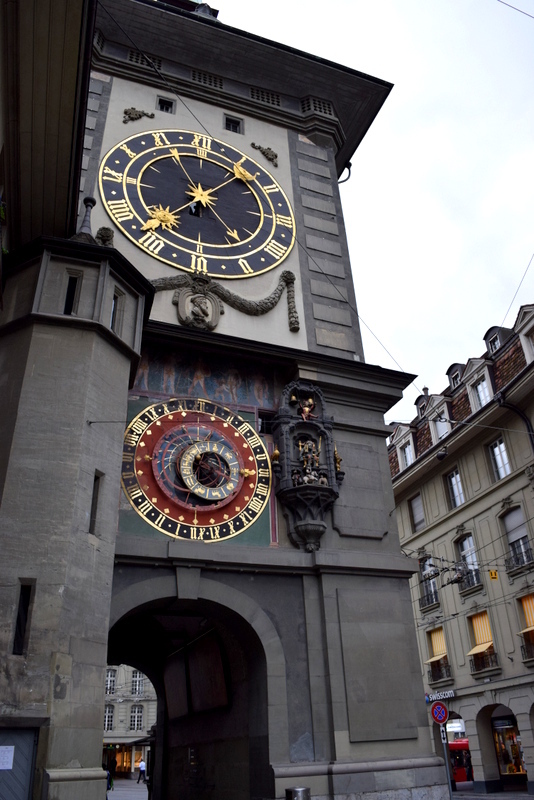 And that’s us in Berne! 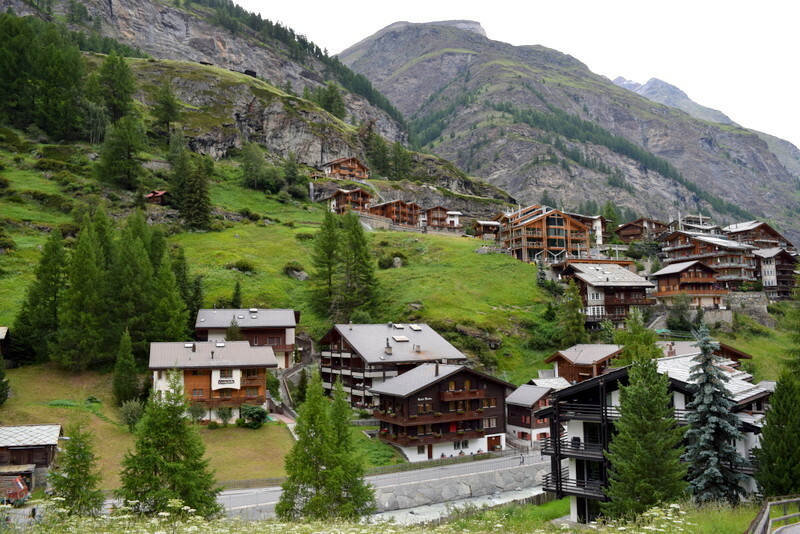 Zermatt And so, at the southern tip of Switzerland, lies a mountainous area known as Zermatt. I have to say that it is quite a touristy place, with loads of Japanese. The train stations even made announcements in Japanese I think if I did not hear wrongly while the train signs were definitely in Japanese. But the buildings were cute and there were no cars at all in this town! The roads were for small vehicles that cater to the supermarket. 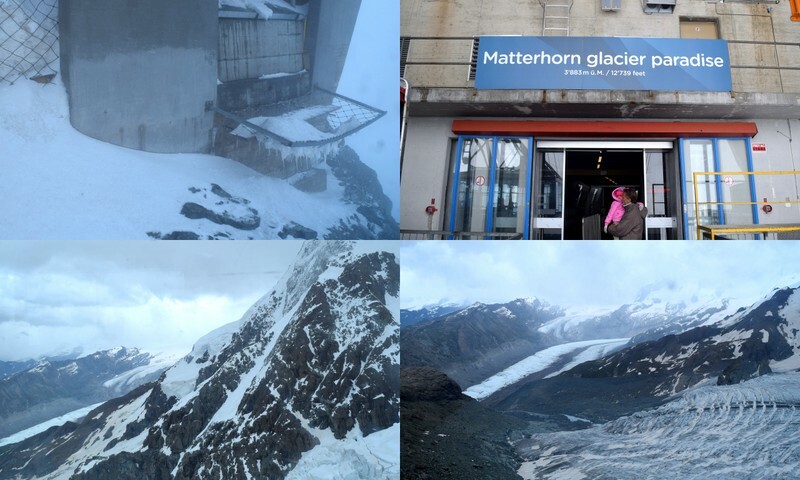 Anyway, this is the place where you can get up to the renowned Matterhorn mountain, from which you can see Mont Blanc and the Monte Rosa range. A pity the weather yesterday wasn’t good and the tip was shrouded in heavy fog! There are various ways to get up to Matterhorn Glacier Paradise and I chose the easier way out as I did not have much time there. Got the cable car ticket that gives you access to the observation deck up at Matterhorn. It costs me 49.50 Fr with a half fare ticket so I believe that if you do not have the half fare card, it will be about 100 Fr. Very expensive indeed. To get to the cable car station, walk all the way south for 10min and you will see the prominent rope way. And that is the view that you get while you walk along that cute street. 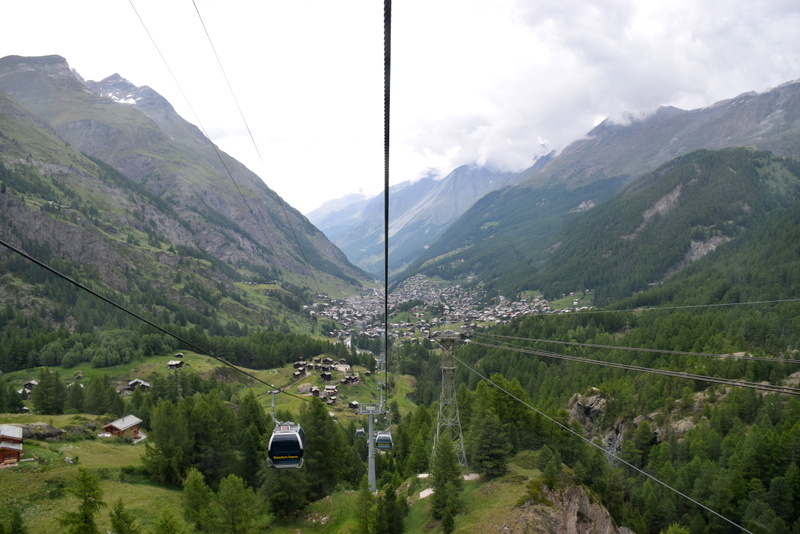 The first stop would be Furi and during the ascent, you could see the houses of Matterhorn! 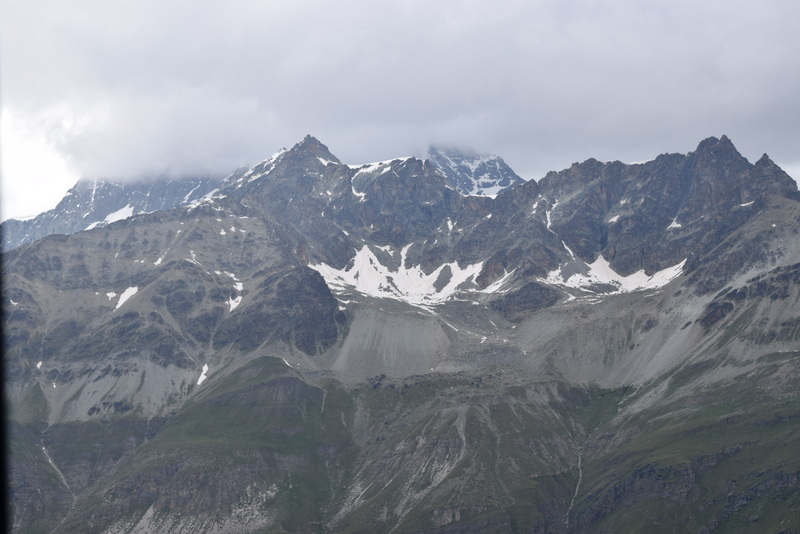 Then you will slowly make your way up to Schwarzee (2583m). There’s an idyllic lake there with a chapel beside it actually. The weather was so crazy that the cable car had to stop several times due to the strong winds and hail. Yes, it was hailing. And when it stopped, the cable car bobbed up and down which was slightly scary I thought. But I trust the Swiss! 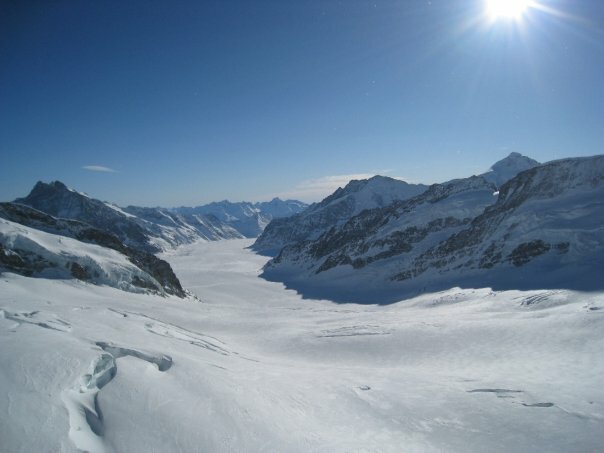 Near to the top, this is the view you get at Trockner Steg (2939m). There is also a cafe and viewing gallery there. And then, before you get to the Matterhorn Glacier Paradise terminal, you need to change to this huge cable car that can hold much more people and has more standing space. I like the fact that this cable car looks so vulnerable when juxtaposed in front of the gigantic mountain. And that’s how cold it is when I got up there. You could see icicles forming and I wasn’t in the right clothings! At the bottom right, I think the stream-like thing is actually a glacier! And yes, on the way back I managed to see this cute sheep parade which made lots of melodious sounds as they all have a swiss bell in front of them! And below is a video of it or you can click here! Enjoy! 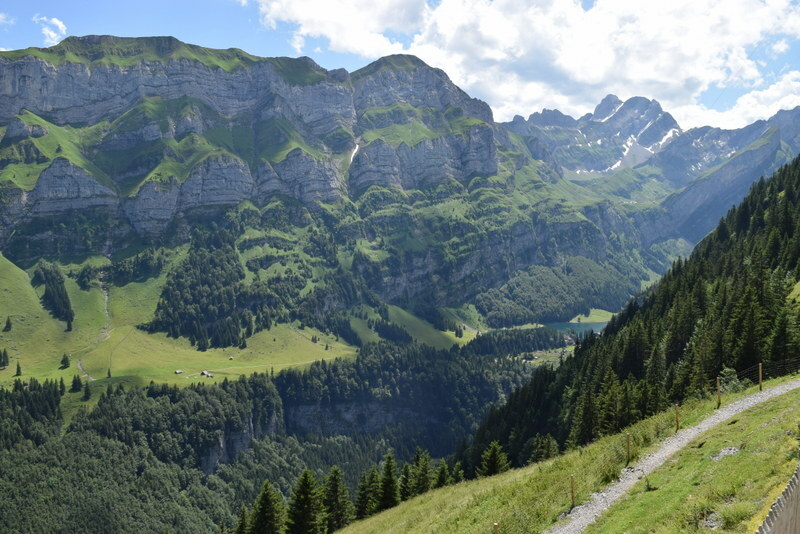 Today’s itinerary is to do a hike up the amazing Aescher mountain at Appenzell. 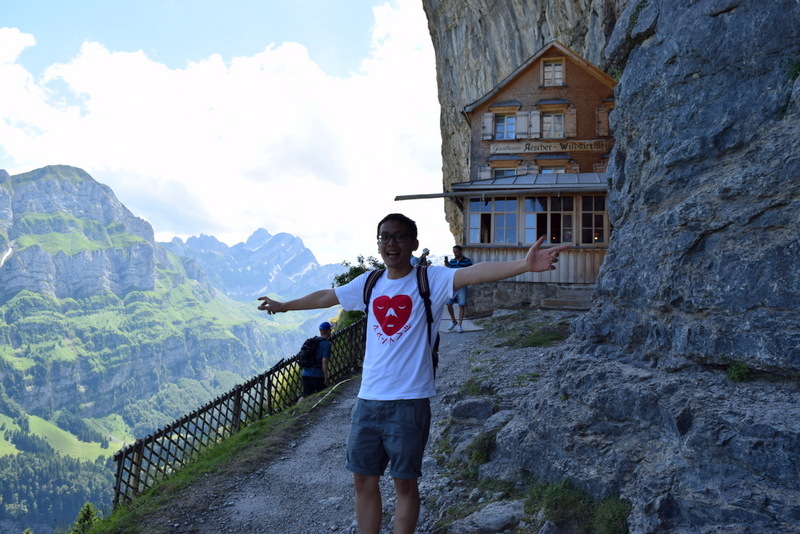 It’s in near to Zurich and S and I did a road trip! So let me describe the way to get up this beautiful mountain. First, you need to park your car at Wasserauen which costs 3 Fr. That is actually the cheapest thing you can find in Appenzell as a bottle of mineral water costs 3.50 Fr. And then the difficult hike starts from here, you get to choose between two routes, one that is steeper but would give you a nicer view and lead you to Lake Seealp. And if you are not too physically fit, you can get the cable car up to the peak which takes 10min. 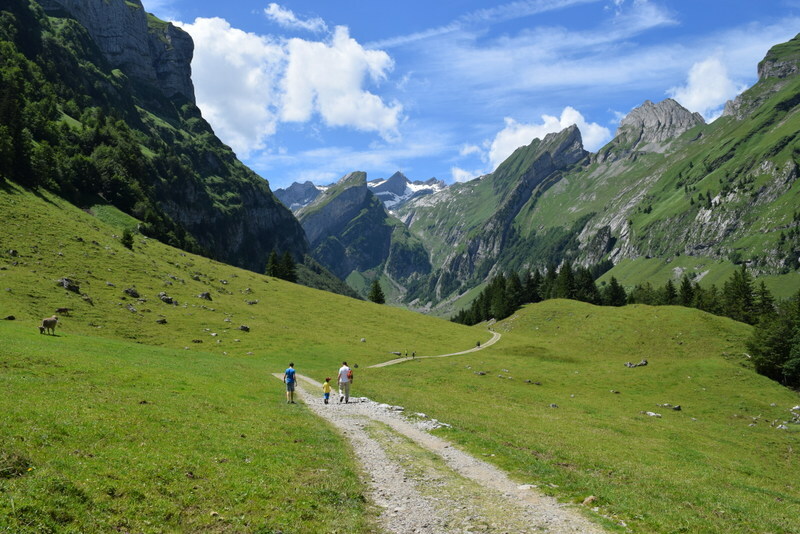 Hiking up requires physical stamina while hiking down is technically more difficult. This is the view you get when you walk through the difficult route. It’s really peaceful as you could hear ‘music from the mountains’. 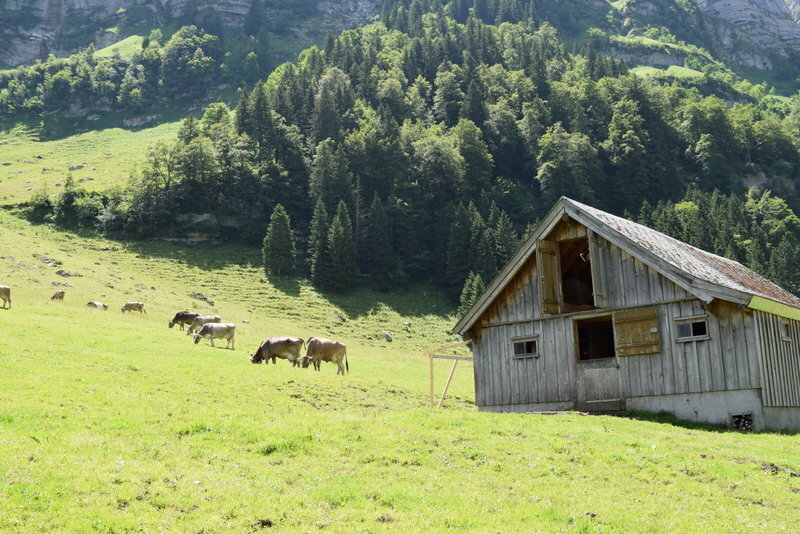 It is actually due to the cow bells hung around the necks of the cows and sheep. Walking towards Lake Seealp. The first part of the climb is physically quite difficult and I was panting badly when I got up. But the view was awesome. You can get that close to the cows and they do look well fed. 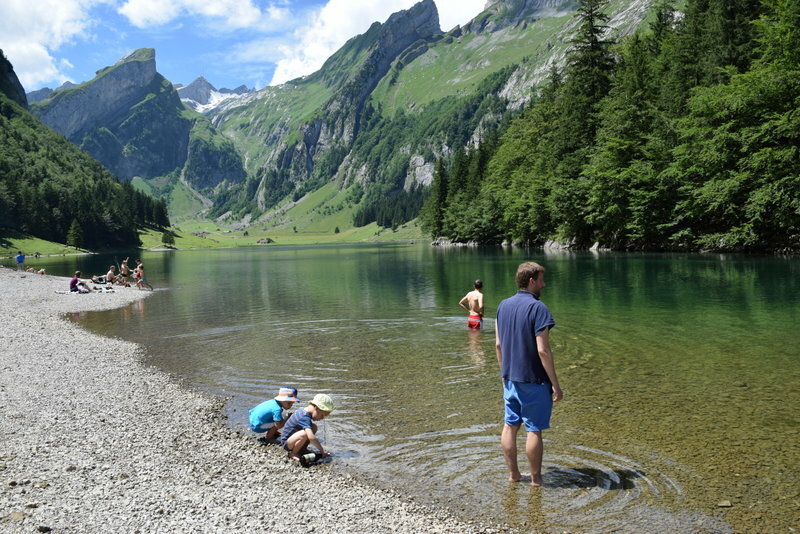 Paddling by lake Seealp. You can do a swim there if you would like to swim in one of Swiss’s lake but the water then was still freezing I felt. 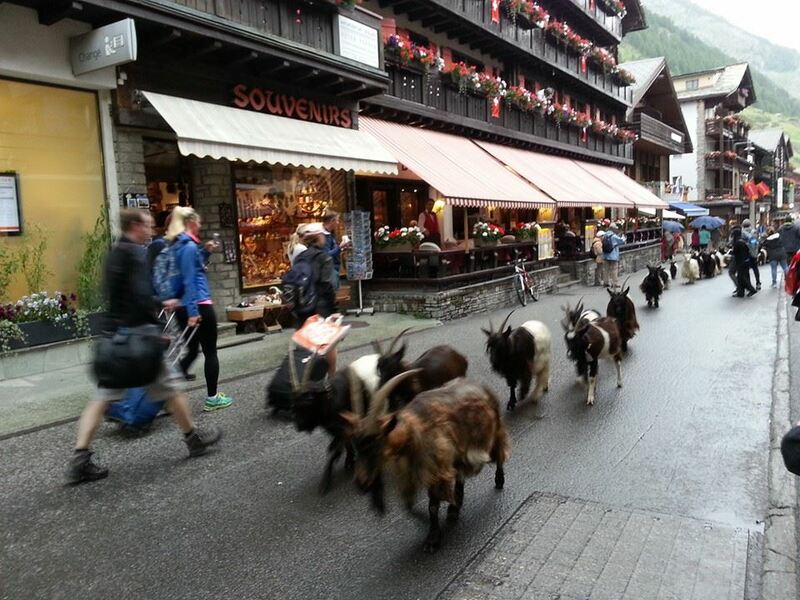 The Swiss were daring enough to get in though. It takes about 2h to get to this lake. And we continue our way up to Aescher Mountain which took another 1h. Just follow the signs and you wouldn’t get lost. Oh, and people will greet you gruezi when you walk past them, that means hello! So friendly indeed. 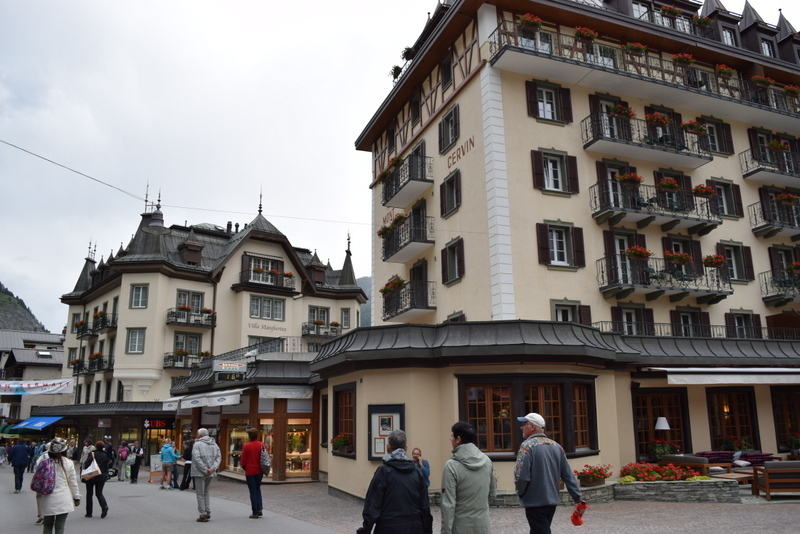 And then it’s the beautiful Aescher Hotel that we arrived at! Awesome view and finally you find the hike is worth it! More photos needed indeed as it was a long hike! 3h! 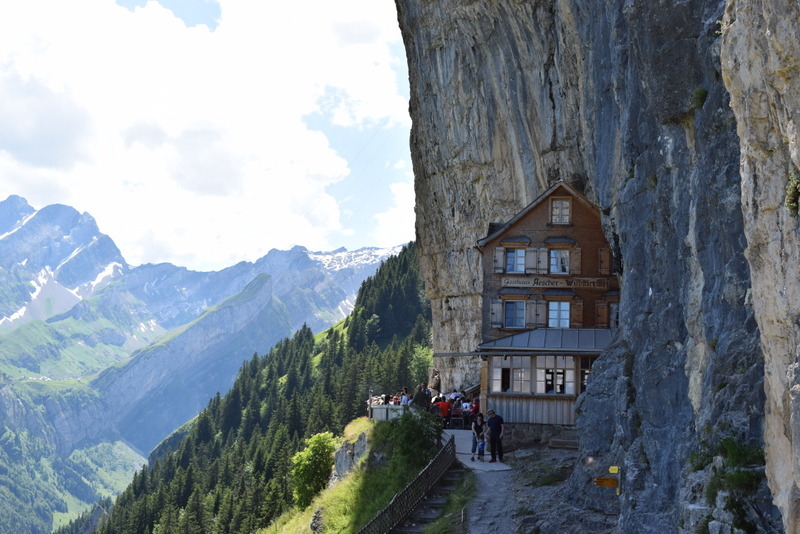 And you could eat at the Aescher Hotel with a magnificent view! Food though was just OK, the pork steak is actually flat Pork Sausage! And pretty salty actually! 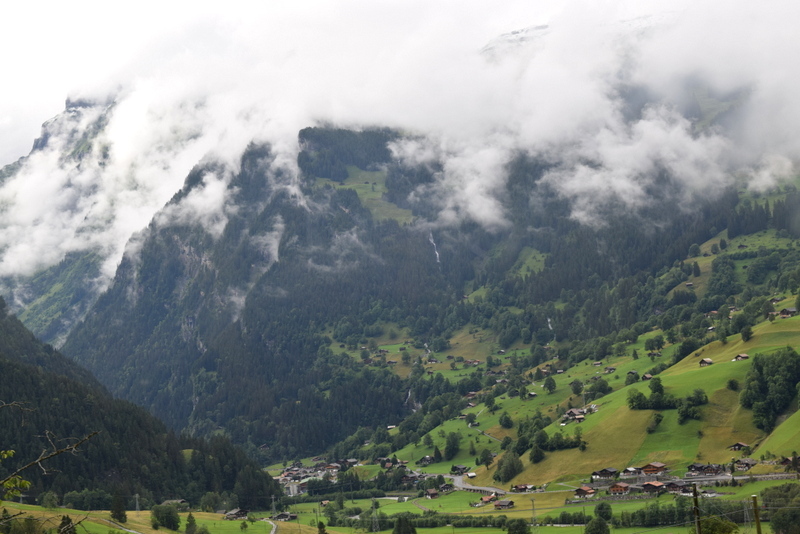 And this is the view at the cable car station before getting the cable down to Wasserauen. Beautiful view indeed. 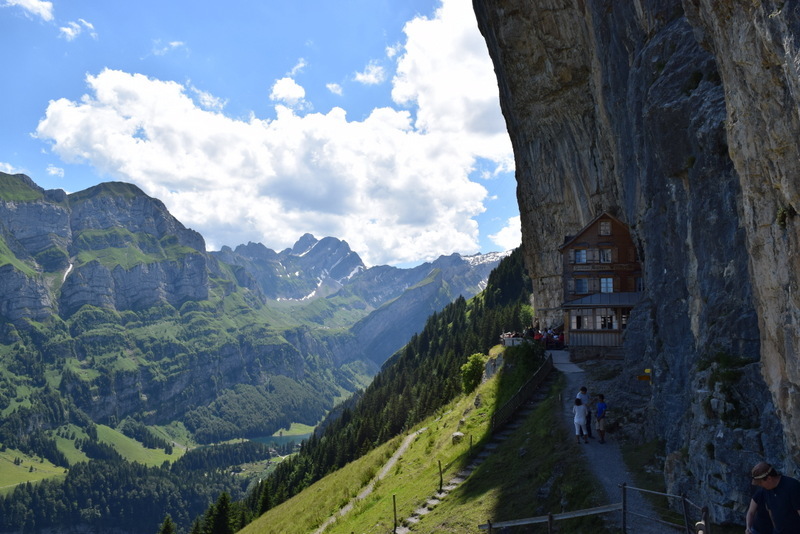 Being rated as one of the top 40 places to go in the world by some interesting websites, Aescher Hotel is really worth going to. You can’t see big tour groups there and this place is frequented by locals. It’s very impressive that you can see lots of grannies and grandpas hiking up or down. Beautiful scenery indeed! I think my legs will ache tomorrow tho! For more details on how you can get to Aescher, you may want to click here. 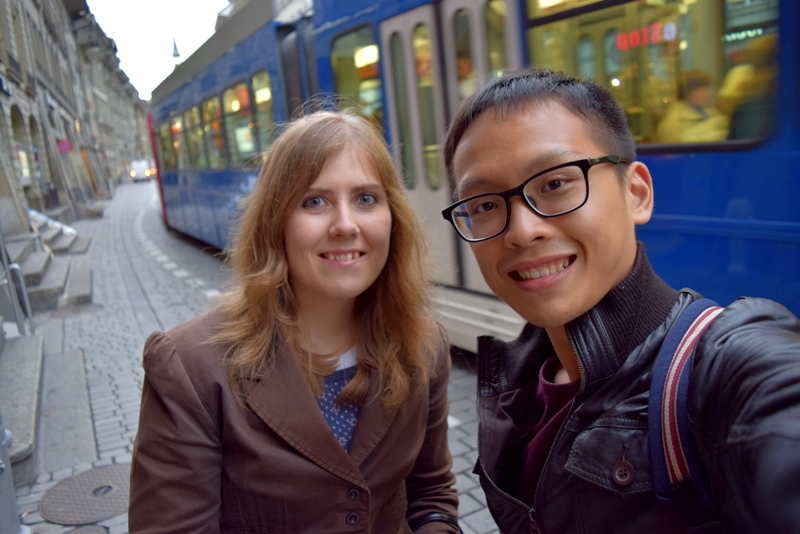 Yes, and so I am stationed at Basel now, staying over at my friend’s place for free! 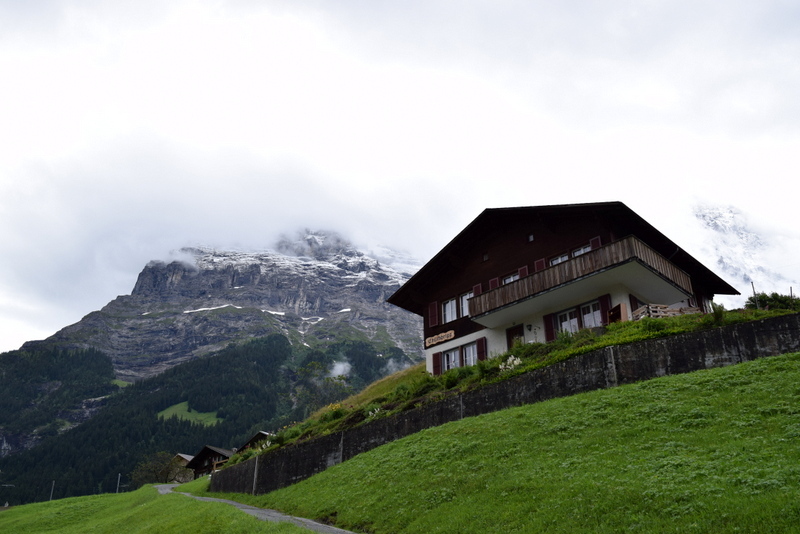 You know, swiss accoms is really expensive especially when its a single room. 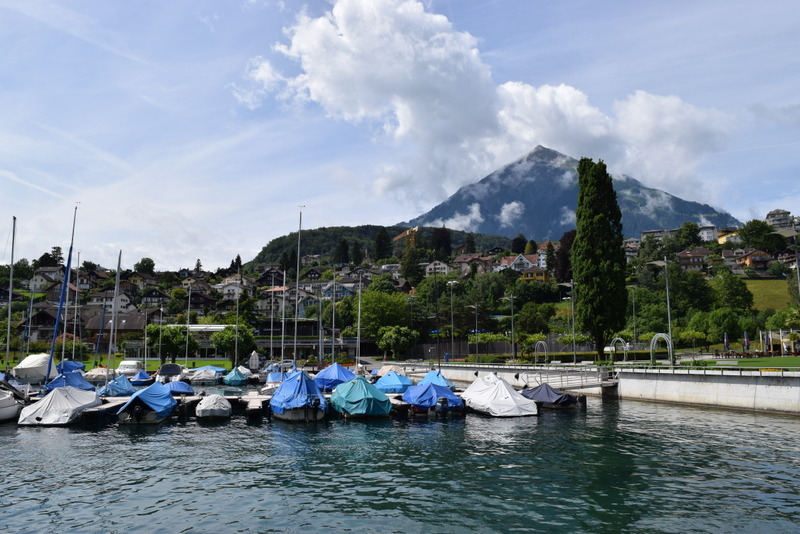 This post shall be slightly different as I would focus more on magnificent view of Spiez, but of course not forgetting to include a restaurant here that is worth lunching at! 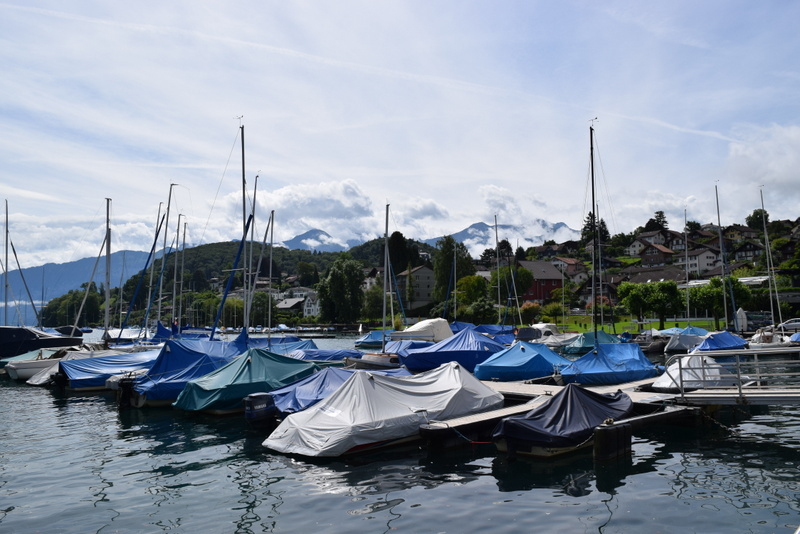 I decided to give Spiez a visit this time round as I’ve been to the major cities already when I was here during my last three visits. 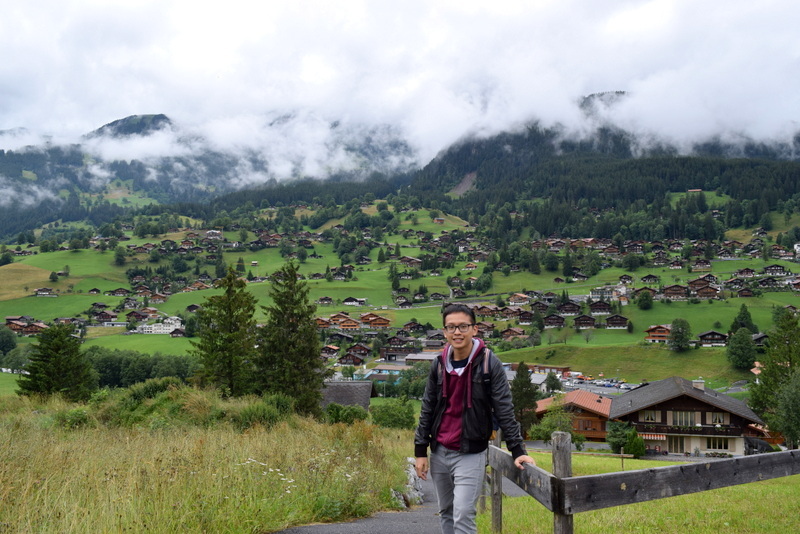 Yes, its my fourth time here and I really love Swiss just as much as Japan. 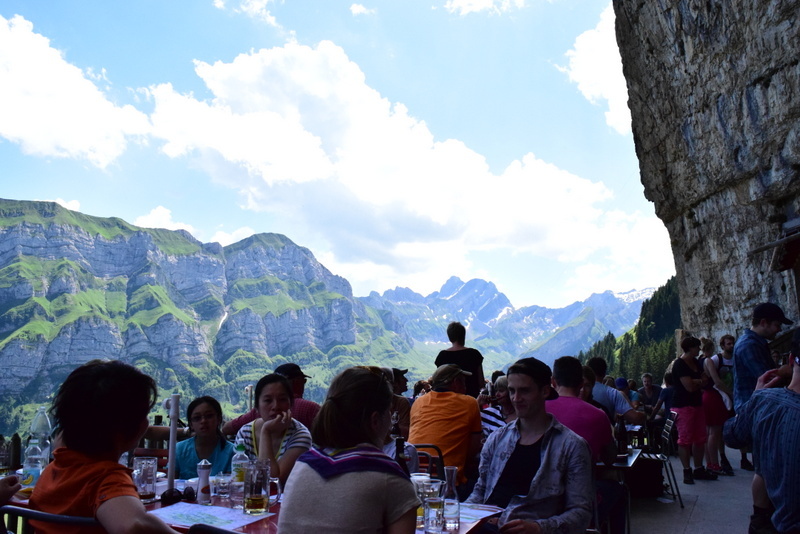 Once you get on the train and travel towards interlaken, the landscape starts to turn mountainous. 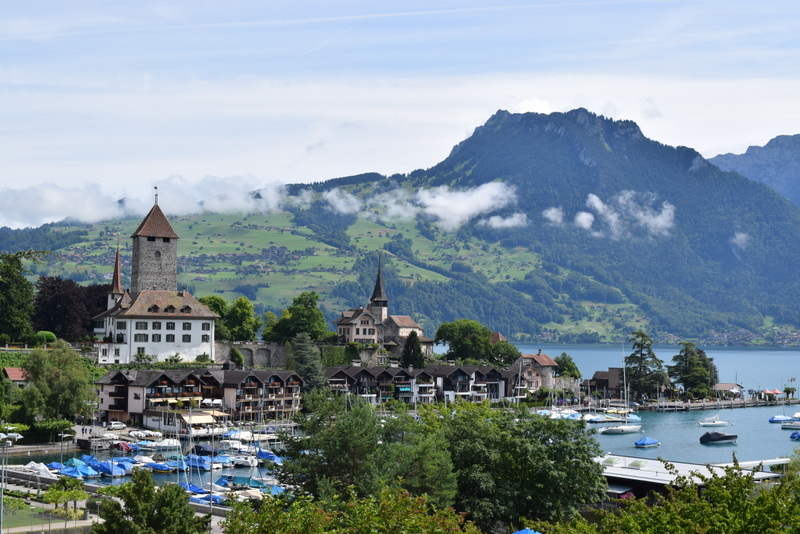 Spiez is a really small town with an awesome view. 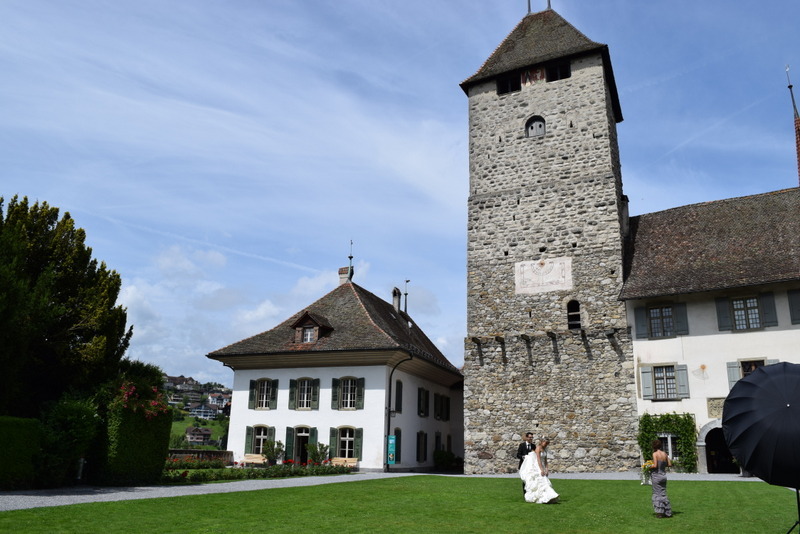 The two famous architecture would be the schloss castle and old church beside It. Undulating mountains is a norm here and to make it even more beautiful, the tranquil lake is littered with private boats. A really picturesque view indeed. I literally kept snapping the same view before I thought I should move on. I am sure most people would be struck by the stunning view. I almost wanted to shout ‘sugoi’ (excellent in japanese) loudly. So of course, given the sunny weather, this calls for an al fresco lunch. 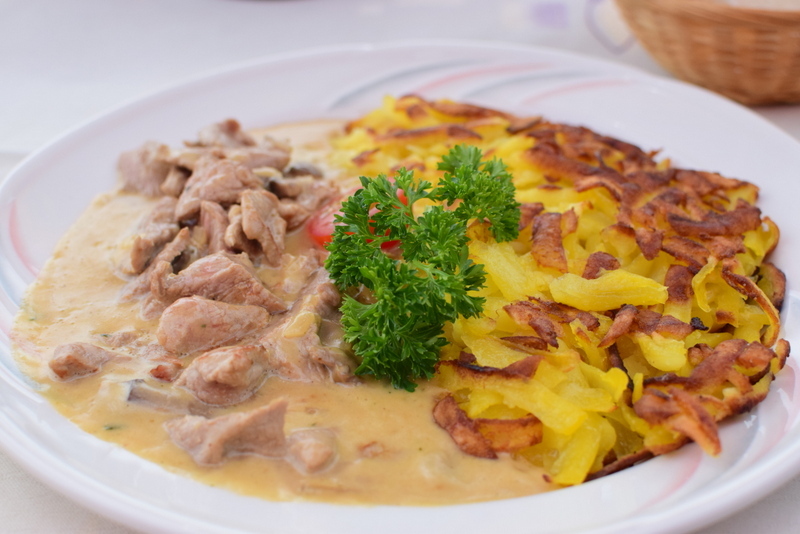 I went to Seegarten Marina Spiez restaurant at a hotel and got the veal meat cooked in zurich style in mushroom sauce with a rosti as the side. 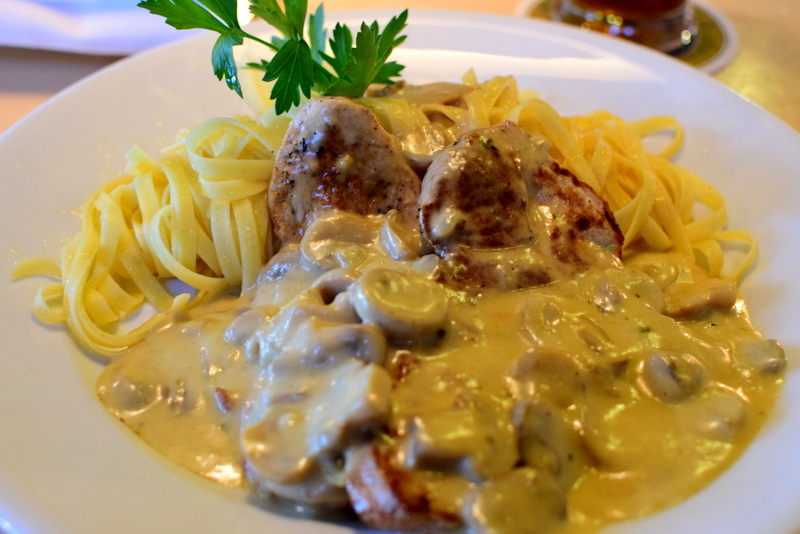 It was tasty, creamy and the veal meat was very tender. Very delicious, especially when you have such an awesome view diaplayed in front of you. I cannot ask for more. 28.50 Fr. And on top of that, they even have a patch of land used for agriculture activities. It somehow looks like a vineyard from afar but am not too sure. Alright, this blog post is meant to be flooded with photos so I shall write less and enjoy them! 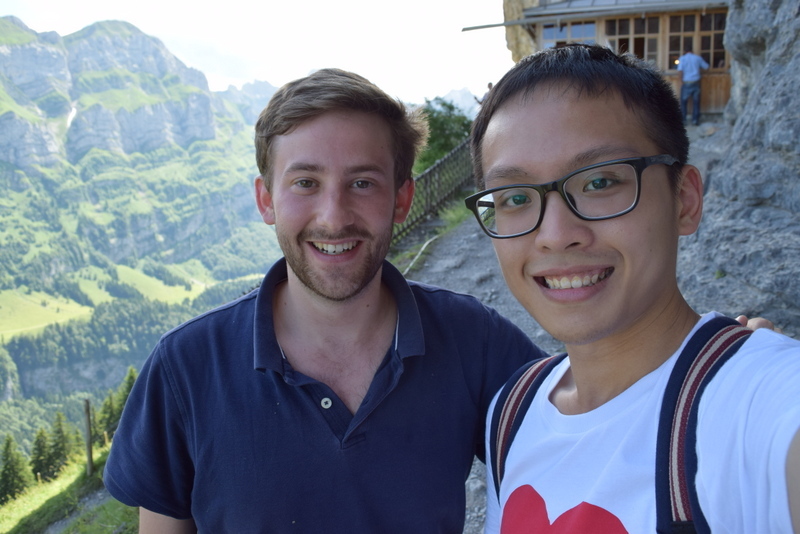 What can I say, it was a really awesome trip to Spiez. 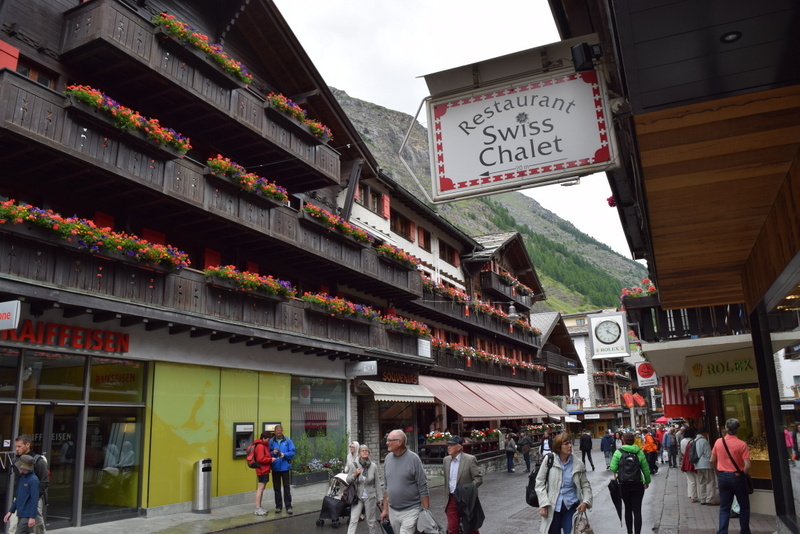 No big tourist groups and mostly Swiss locals there. And as always, there were a couple of Japanese there as well. 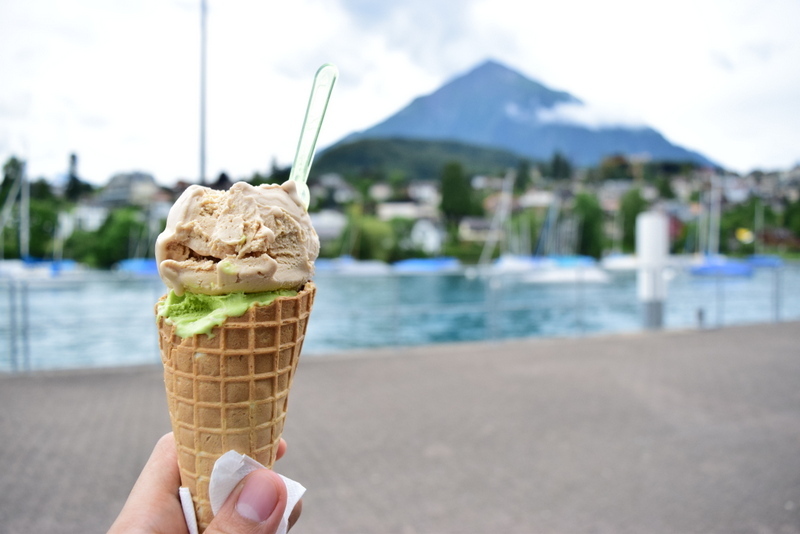 Gorgious Spiez indeed!